@AlmostBritish hopefully see you in LAX on 1/4. So I booked my OTP to PHX Tier Point run, and it couldn't be at a better time. On the 8th of March my membership year ends and I am flying already at the end of the month! Really excited about that, as it will give me the boost to get back to Silver, and sufficient time to save and book another Tier point run later this year. Thanks to the Matrix tool and Book with Matrix, and not to mention so many of your posts here, I have been able to book the flights I wanted. I was really considering going via HEL due to the extra points, however I know from experience that AA is flying around with a lot of aircraft with old configurations, and I genuinely wanted to try the Transcon flights between JFK and SFO/LAX. Please note that I specifically chose a long layover in SFO, so I can see some friends over there (Now let's hope they will be around haha). 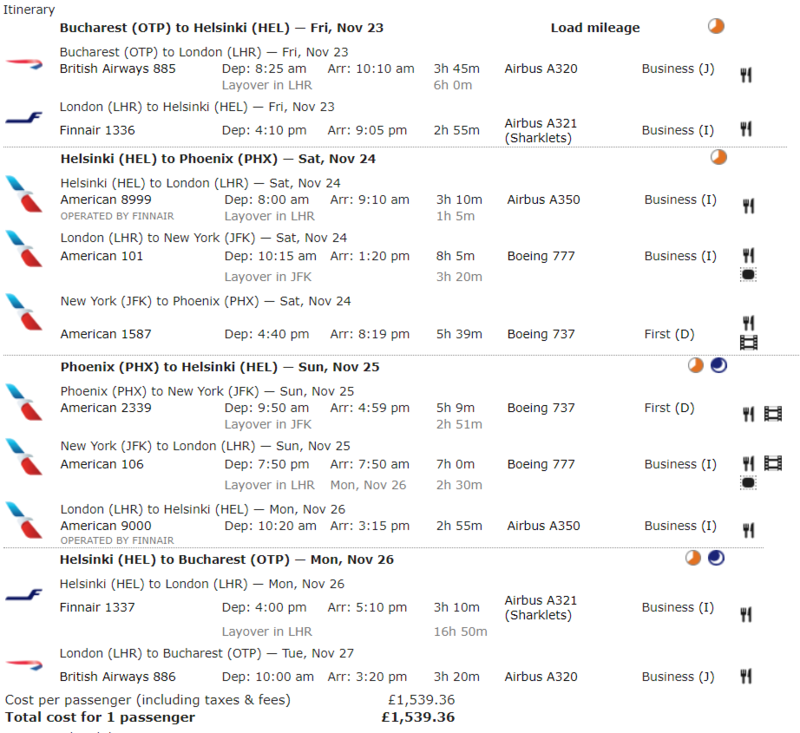 Knowing it is Easter, I might be able to change some of the flights as they are probably overbooked. Feel free to add your flights to the PHX do thread. First of all thank you to all committed members. I've been browsing for a while now. I'm in need of a TP Run for 800TP between OCT and NOV and wonder if you could help, preferably under £1200? Welcome. The obvious answer would be OTP/PHX. Assuming you are based in Europe. If you can give some preferred dates then somebody may be able to give a more realistic price and routing. Yes I was looking at the OTP-PHX but couldn't find the right price (and I'm new to ITA Matrix). Basically anytime between October and November or even January next year really. Preferably leaving on a Sunday? Leaving on a Sunday will be your biggest issue - you'll need a Saturday night at the destination in order to take advantage of the cheapest fare, therefore this means you do you TATL return flight on the Sunday. This means departing EU on the Saturday at the latest. 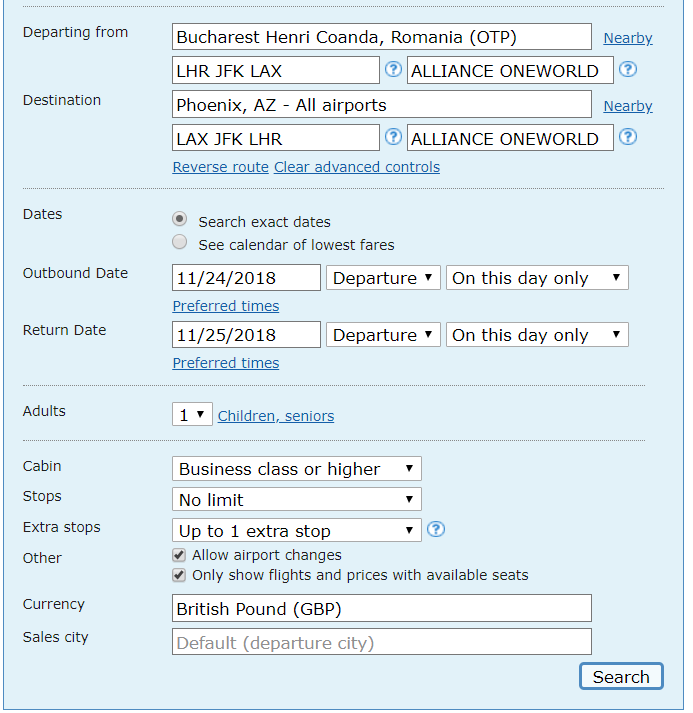 OTP-PHX is your best bet - there is a very easy to follow post on how to search and book these fares in this thread. Thanks @rossmacd ! Leaving on a Saturday is not an issue, just didn't want to leave in the middle of the week. Would you mind sharing a matrix screenshot/link? TATL means transatlantic, so the flight that carries you both ways across the Atlantic Ocean from EU to US. Thanks a lot, fantastic. If my calc are good, that's 800 TP right? what would it take to push to 1000? That is indeed 800 TPs. This takes advantage of the maximum number of transfers on each fare component. Bear in mind you can also put 160 points on using the positioning flight to OTP and B2B return. It won't be frantically cost effective but as you have to do the flights anyway you might as well get the TPs. 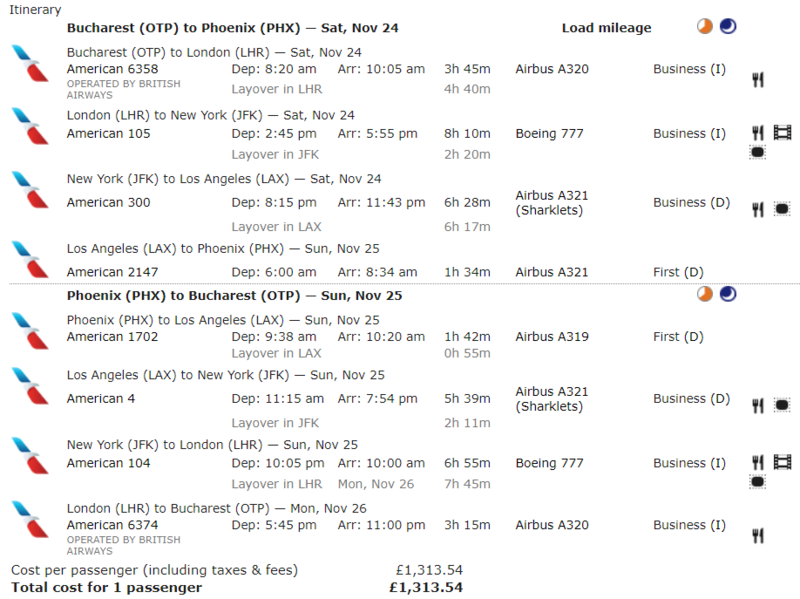 I'm doing LHR-OTP-LHR-JFK-LAX-PHX-JFK-LHR-OTP-LHR leaving on the 23rd of November. 820 points only though, the first and last leg are in ET as I only need 800 TP.